Lemurian Healing Returns to Avalon! Does the word “Lemuria” stir something in your heart? Are you ready to uncover your hidden gifts as a healer? If you’re a practicing healer, are you ready to add an entirely new dimension to your healing work? 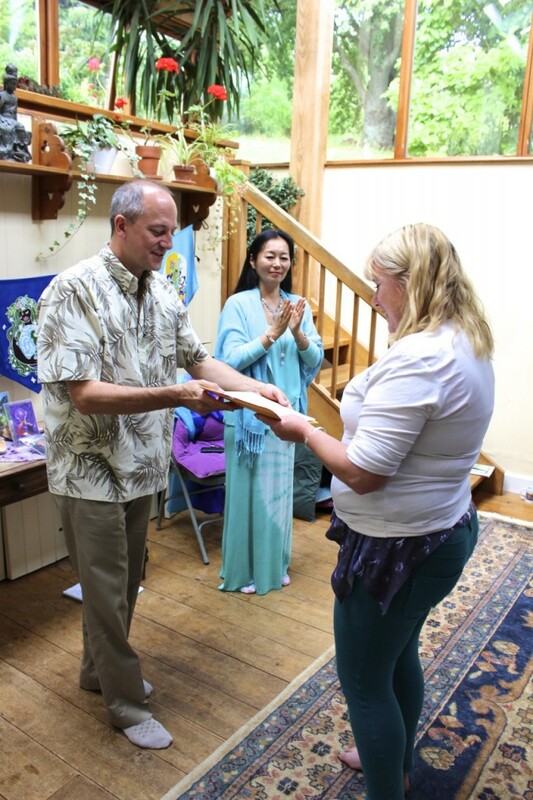 Last year when Mamiko and David first introduced Lemurian Healing to the UK, the enthusiastic response they received was a pleasant surprise. So, they decided to return to Glastonbury this August to present their Basic Level course and Certified Practitioner course once again. And once again, these workshops are priced to make them widely accessible. Don’t hesitate. Seats are still available for these workshops. If you have any questions, please contact us. I love this healing and I’ve found it utterly amazing, as have my clients. Every session has brought powerful spiritual confirmations and supported resolution of imbalances at all levels, physical, emotional, mental and spiritual, and I’ve been so moved to be part of such Divine Healings. The course was immensely stimulating. For me the simplicity of the healing technique allows the pure energy to flow. The content of the four days unfolded in a clear style. The guided journey meditations were profound. The four days were magical and everything just flowed, as the teachings were all delivered in an easy to understand format. 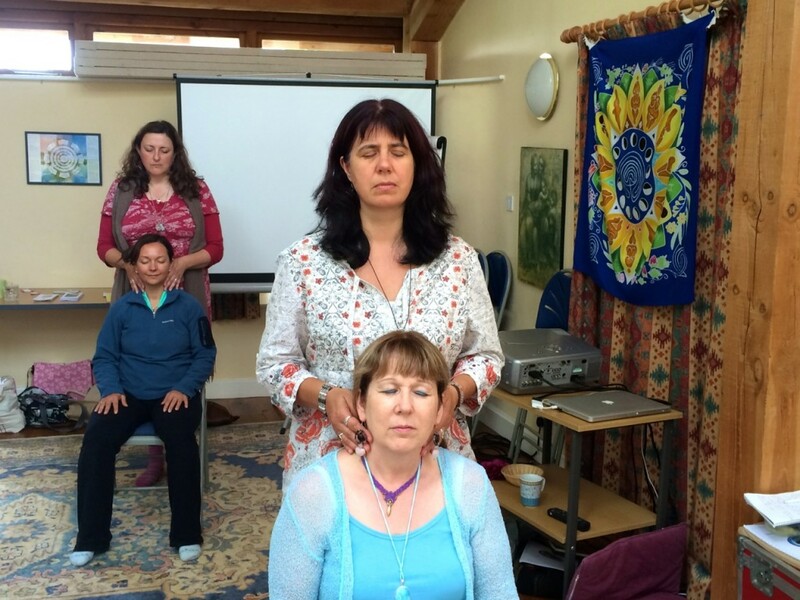 I enjoyed all practical healing exercises and the entire course was an absolute joy to participate in. 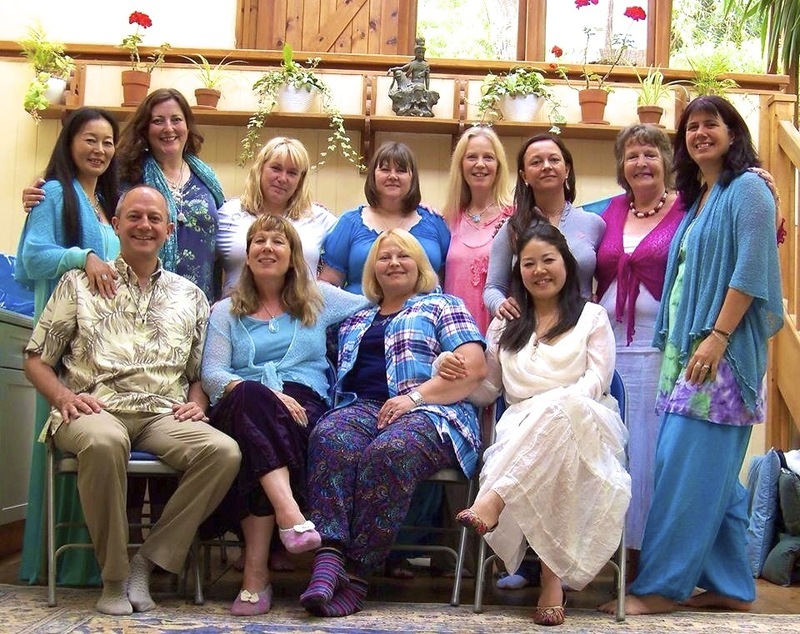 This experience gave me confidence and I want to heal more people…. I am still a beginner as a healer, but these four days…showed me a path towards light and love. Lemurian healing will be very popular in the UK soon, I’m sure, and I’m very proud to be one of the first practitioners here. My heart continues to open, I feel calmer, more relaxed and I am sleeping much better. Anxiety about the future has disappeared. 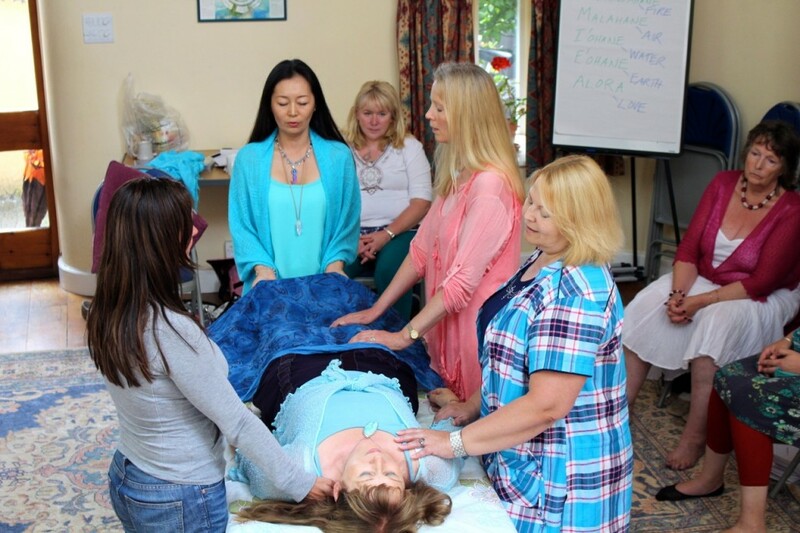 It has truly been an incredible time of transformation since the four-day Lemurian Healing training course. I feel so very blessed and there have been so many synchronicities. 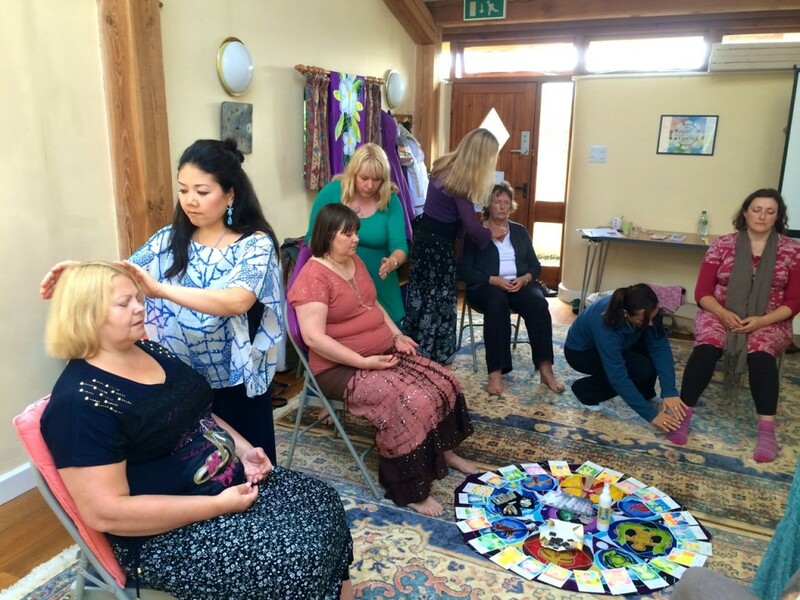 We are so very honoured to have Lemurian Healing in the UK! Lemurian Healing has added to my life so much, and I can’t wait to come to Hawaii to train as a Lemurian Healing teacher! For details about course content, please visit our Workshops section. The Goddess Hall is located on Benedict Close, directly behind the Parish Church of Saint Benedict, and is a 5-minute walk from the bottom of the High Street. There is no parking available at the Goddess Hall. Some street parking may be available in the neighborhood. The nearest public pay & display car parks are Dunstan’s, on Magdalene Street near the Abbey, and the one on Silver Street. Our standard cancellation policy is to assess a fee based on the total cost paid for the workshop(s). The fee percentage varies according to how many days prior to the start of the workshop(s) the cancellation is requested. 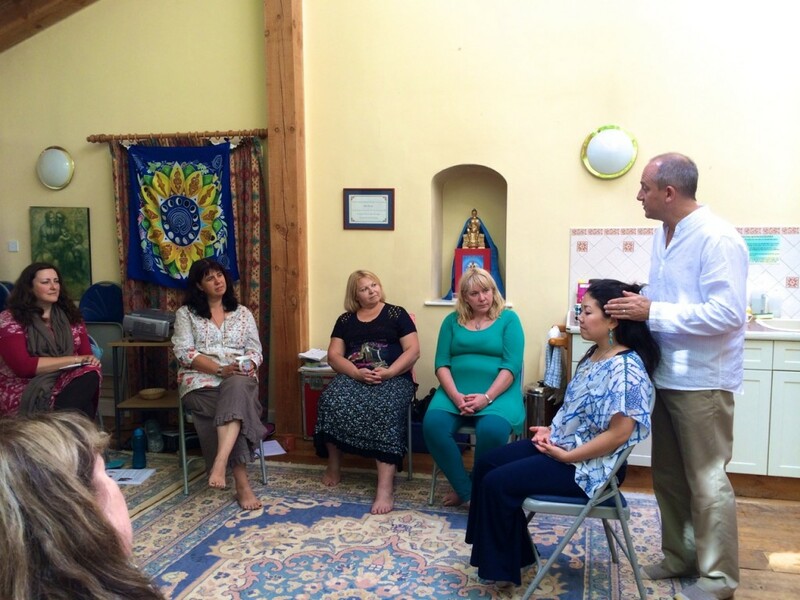 Here are some photos from our first Lemurian Healing workshops in the UK in 2014. Our attendees hailed from around the UK, Hungary, the Netherlands and Ukraine.